With a surprise fresh covering of snow on the ground the only yellow I was expecting on a walk around Wanstead Flats was the colour of snow left by our four-legged friends! 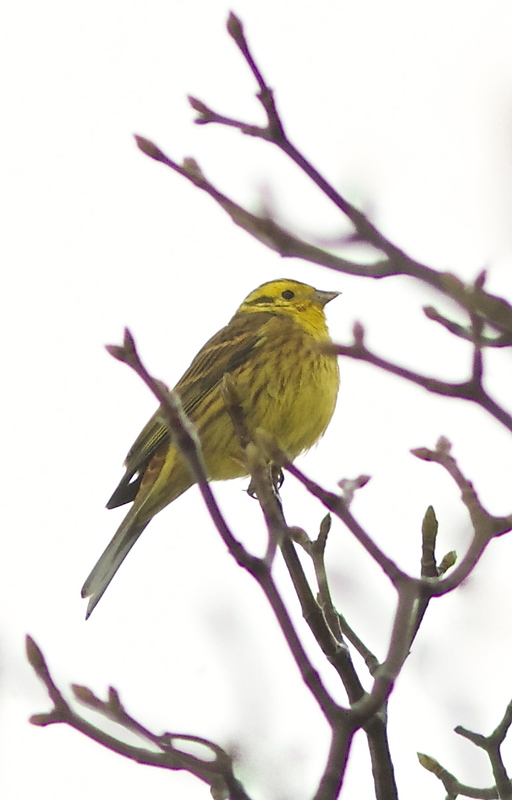 So it was pleasing to pick up a Yellowhammer (patch year tick - 56), with a couple of Reed Buntings as company feeding along the taller grassy verges adjacent to the football pitches. When approached the Yellowhammer flew into the Esso copse and posed just long enough for a couple of record shots, before leaving the Reed Buntings behind and disappearing towards the Golden Fleece Pub - well it was about opening time! An infrequent winter visitor to the flats with typically only a couple of records each year (Nick, Jono or Tim can put me straight on that one) this bird was a first for me at Wanstead and a decent reward for walking the frozen snow capped waste lands of east London (that's dramatic) - you can usually rely on the wintry weather conditions to produce something of interest out of the hat! Of course, pinch the image from the blog or I can email you the original? Dipper - my type, Scandinavian!